The World’s Leading Annual Showcase of Horror and Dark Suspense Celebrates 25 Years. 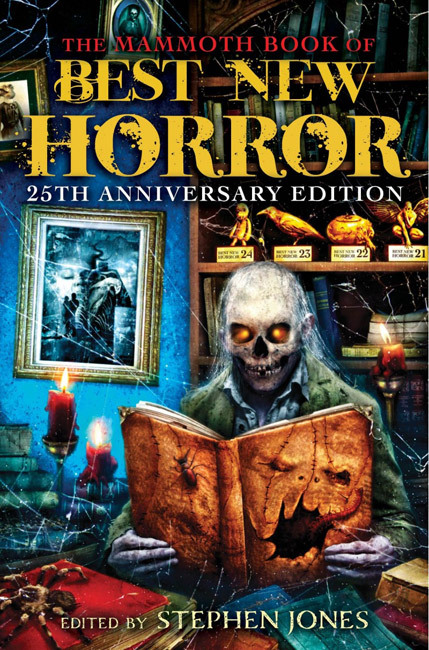 For a quarter of a century, this multiple award-winning annual selection has showcased some of the very best, and most disturbing, short stories and novellas of horror and the supernatural. 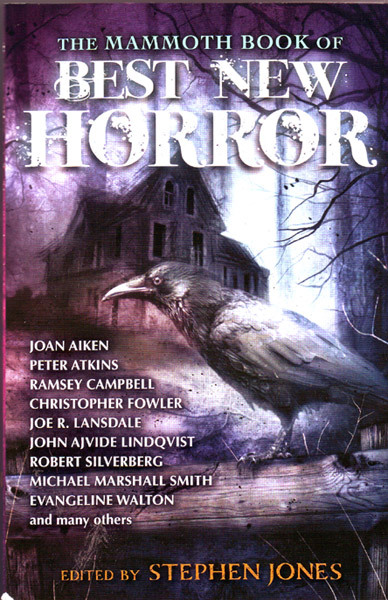 As always, this landmark volume features superior fiction from such masters of the genre and newcomers in contemporary horror. 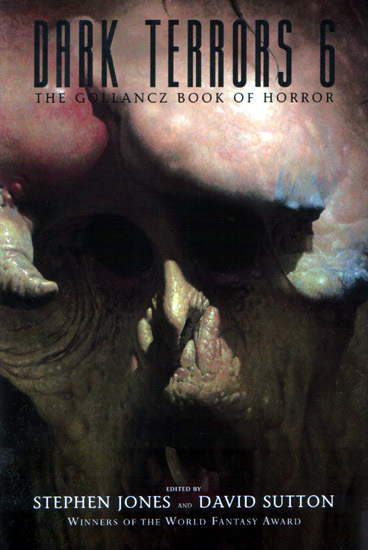 With an in-depth Introduction covering the year in horror, a fascinating Necrology and a unique contact directory, The Mammoth Book of Best New Horror remains the world’s leading anthology dedicated solely to presenting the very best in modern horror. ‘We’ve all heard rumour: that the austerity measures will be over by Christmas. That there will be a Christmas…’ ” But now the prime minister, in the opulent surroundings of a banqueting hall, has publicly called for permanent austerity. The Con Dem Coalition government’s policies have brought real life horror stories: cancer patients bullied by the DWP, bereaved parents forced out of homes by the bedroom tax, pregnant migrants endangered by avoiding medical help in fear of hospital bills. Just when you thought things couldn’t get worse, Gray Friar Press presents macabre tales from the frontline of aus-terror-ty. We asked fine writers of horror to bring dark visions of a society blighted by poverty, debt and privatisation, exploring what ghosts, private madness and afterlife such a world might bring. The anthology counters a culture encouraging ordinary people to scapegoat benefit claimants and migrant workers, show-casing fiction that examines the real roots of a crisis that causes hardship for many and lining the pockets of few. 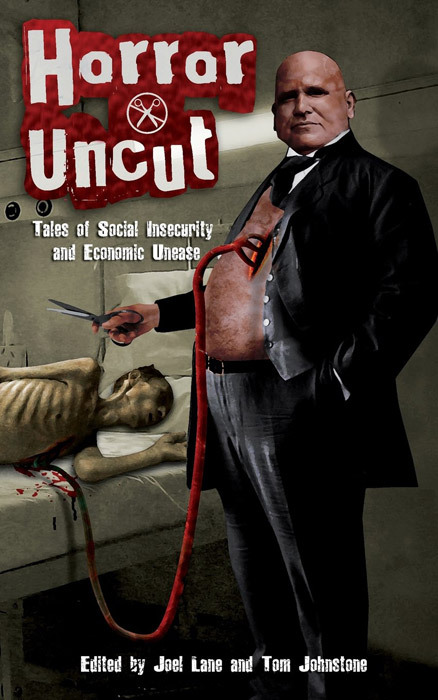 Such acclaimed talents as Alison Littlewood, John Llewellyn Probert, Rosanne Rabinowitz, Gary McMahon, Anna Taborska, Joel Lane, Simon Bestwick, Andrew Hook, and Priya Sharma invoke a world where you queue to join the queues, personal space is strictly rationed, and sadistic game-shows control the population. Stephen Jones (ed.) – Psycho-Mania! WE ALL GO A LITTLE MAD SOMETIMES . . . When journalist Robert Stanhope arrives at the Crowsmoor asylum for the criminally insane to interview the institute’s enigmatic director, Dr Lionel Parrish, little does he realise that an apparently simple series of tests will lead him into a terrifying world of murder and insanity . . . 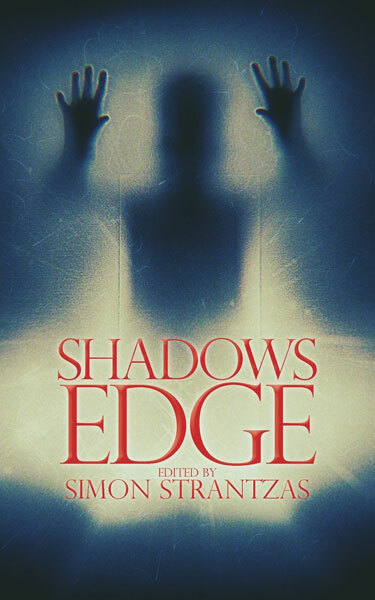 In this chilling new anthology, compiled by multiple award-winning editor Stephen Jones, some of the biggest and brightest name in horror and crime fiction come together to bring you twisted tales of psychos, schizoids and serial-killers, many with a supernatural twist. Reggie Oliver revives Edgar Allan Poe’s wily French detective C. Auguste Dupin, there is a new “Bryant & May” London mystery from Christopher Fowler, child actor turned private eye Marty Burns investigates a quirky Hollywood case by Jay Russell, and international best-selling author Michael Marshall returns to The Straw Men conspiracy. 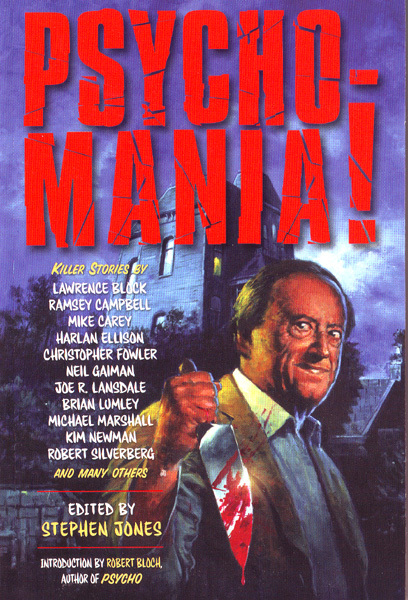 With a never-before-published Introduction by Robert Bloch (author of Psycho), along with one of his most famous and iconic stories, this volume also features an original wraparound sequence in the style of the author by John Llewellyn Probert. 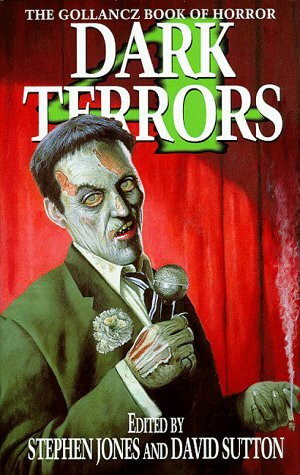 Add classic reprints by R. Chetwynd-Hayes, Basil Copper and Dennis Etchison, along with original fiction by Peter Crowther, Brian Hodge, Richard Christian Matheson, Paul McAuley, Lisa Morton, Robert Shearman, Steve Rasnic Tem and many others, and you would have to be out of your mind not to take a stab at these stories! 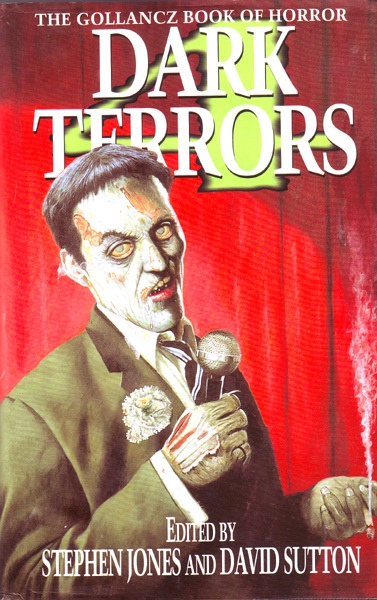 Here is the annual selection of some of the very finest, and most disturbing, short stories of horror and the supernatural published in the past year by both contemporary masters of horror and exciting newcomers, including Terry Dowling, Gemma Files, Joel Lane, Claire Masset, Thana Niveau, Lynda E. Rucker, Simon Kurt Unsworth, Mark Valentine, and a bewitching poem by Niel Gaiman. 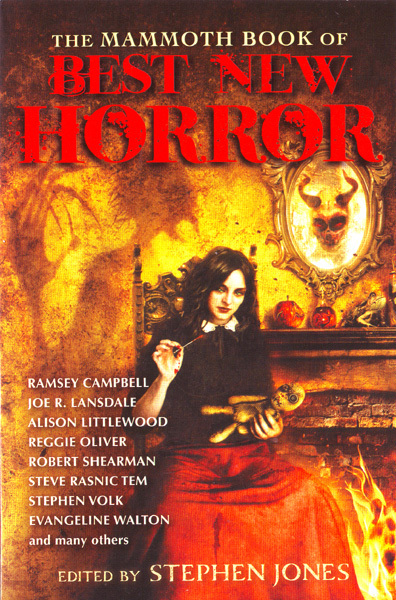 The latest volume of the record-breaking and multiple award-winning anthology series also offers an in-depth introduction covering the year in horror, an informative Necrology of notable names who are no longer with us, and a useful contact directory that is an indispensable resource for every dedicated horror fan and writer. The Mammoth Book of Best New Horror is the world’s leading annual anthology dedicated solely to showcasing the very best in contemporary horror fiction in all its many frightening forms. 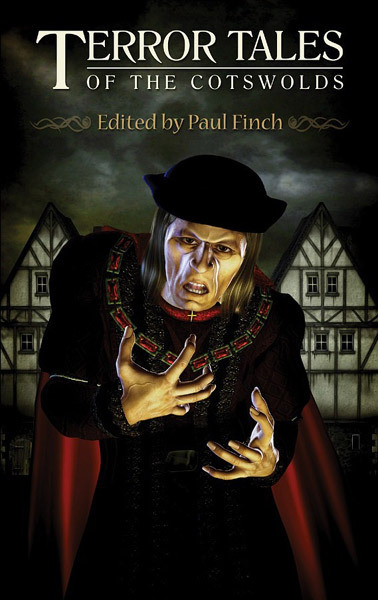 The latest volume of the world’s longest-running annual showcase of Horror and Dark Fantasy fiction. Presenting a selection of the very best, and most chilling, short stories and novellas of horror and the supernatural by both established masters of horror and exciting newcomers.